The antenna is made of coaxial cable sections. 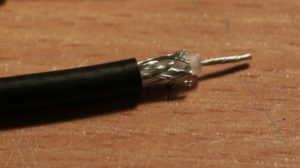 It doesn’t have to be 50 Ohm coaxial cable, 75ohm for satellite TV will work as well. 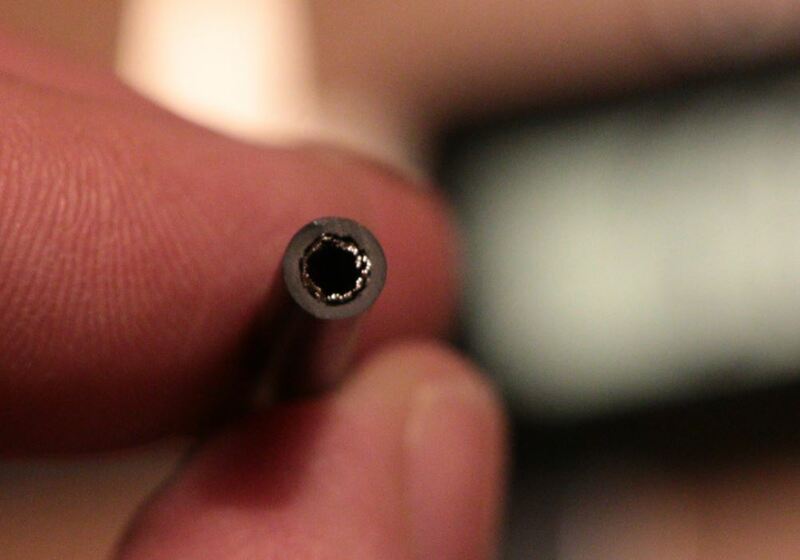 What is important, is the velocity factor of the coaxial cable. 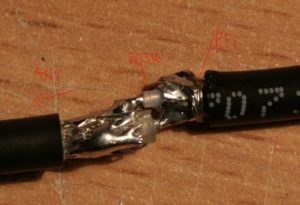 If the cable is unknown it’s fairly simple to measure the VF with some TDR method described elsewhere (one good example). 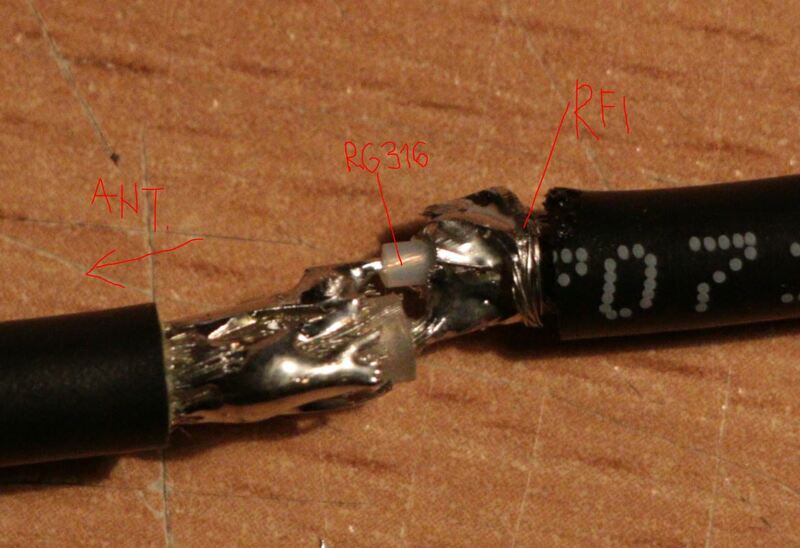 I used commonly available RG58C/U with VF of 0,66. My local shop for electrical parts sells cables from italian producer Prospecta. 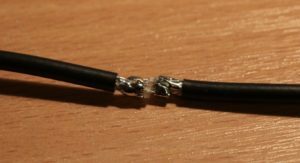 To feed the antenna some quality cable is needed with low loss at UHF frequencies. 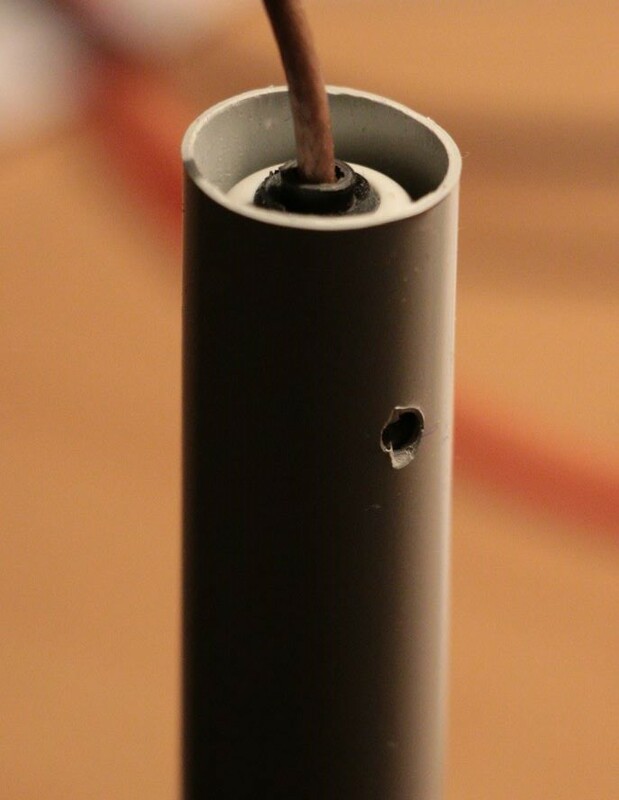 Good choice is RG316 or similar smaller diameter. 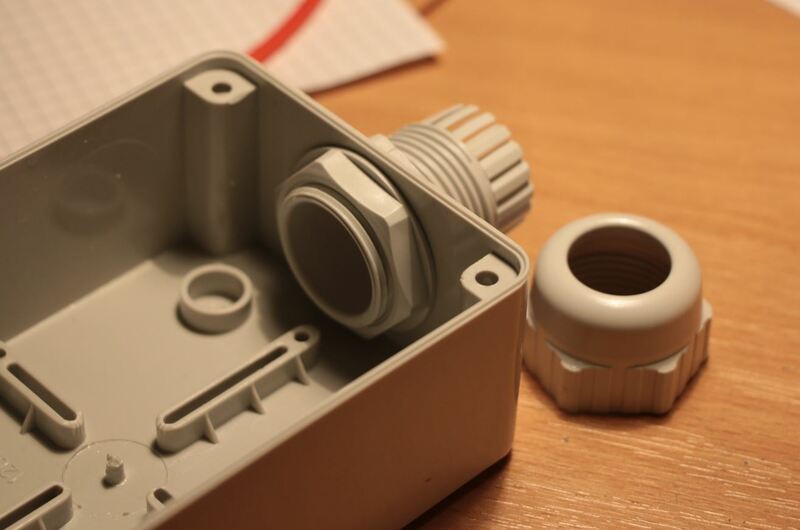 Due to construction of the feed it is good coice to match the diameter of the internal dielectric in antenna coaxial cable segments to the diameter of the feed cable. I will describe this later. 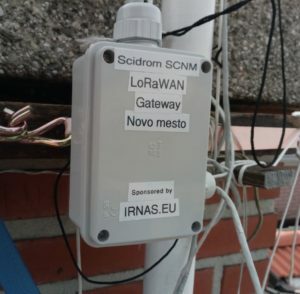 Further some connector is needed to match the LoRaWAN treansciever connector. 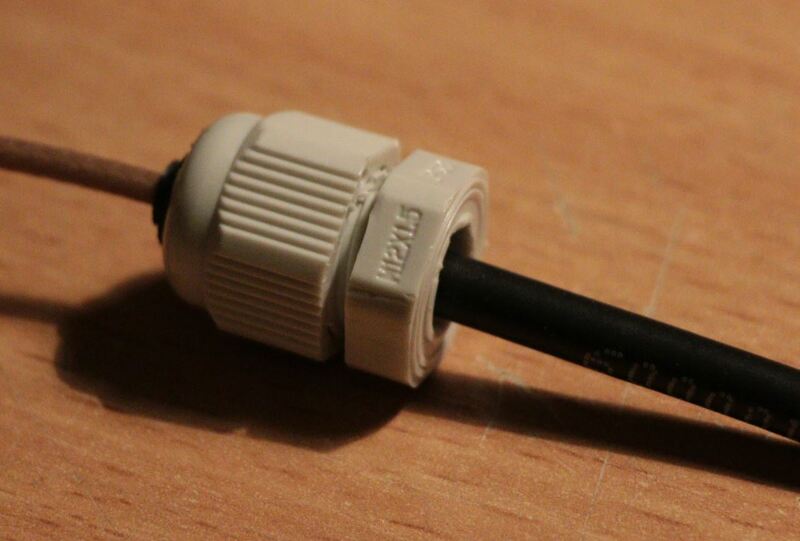 Avoid adapters, because every adapter adds up to few dB of loss in signal. 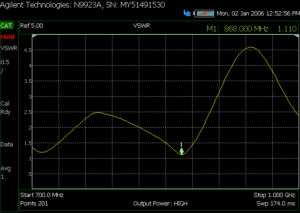 dB her and dB there seems not much, but remember 3dB means half of the signal. 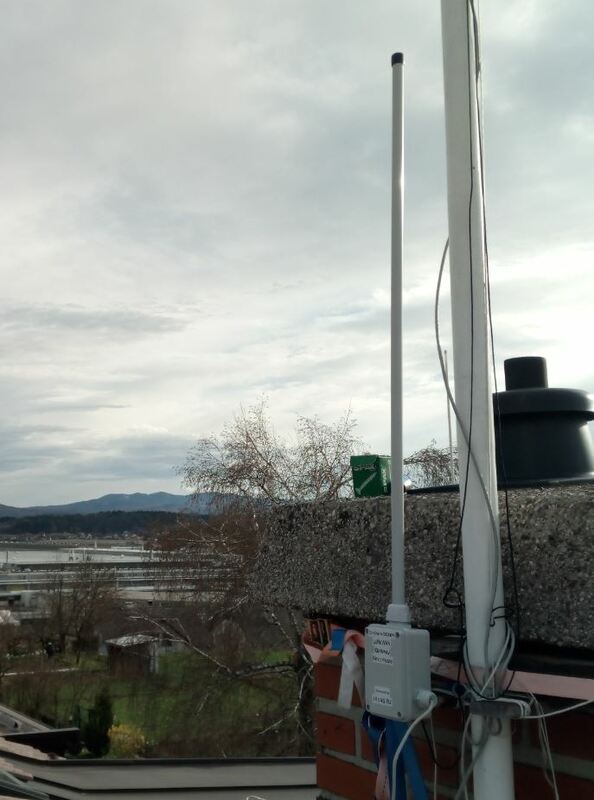 This antenna is intended for LoRaWAN gateway for outdoor installation. 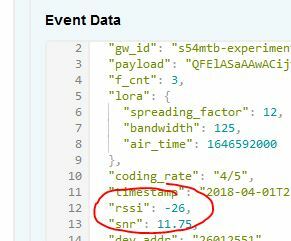 This measns it will be exposed to the weather. 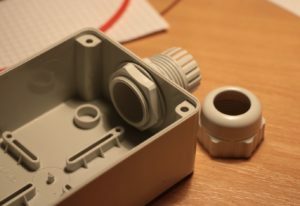 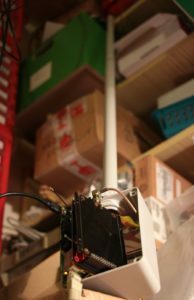 I decided to place the antenna inside the plastic tube and mount it with the cable gland to the plastic housing, which can accomodate the LoRaWAN gateway with IP67 protection. The tools needed for making this antenna are nothing special. 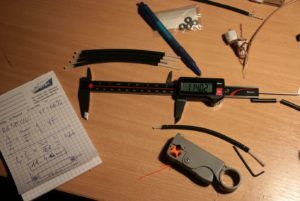 The caliper or some precise measuring tape is a must-have. 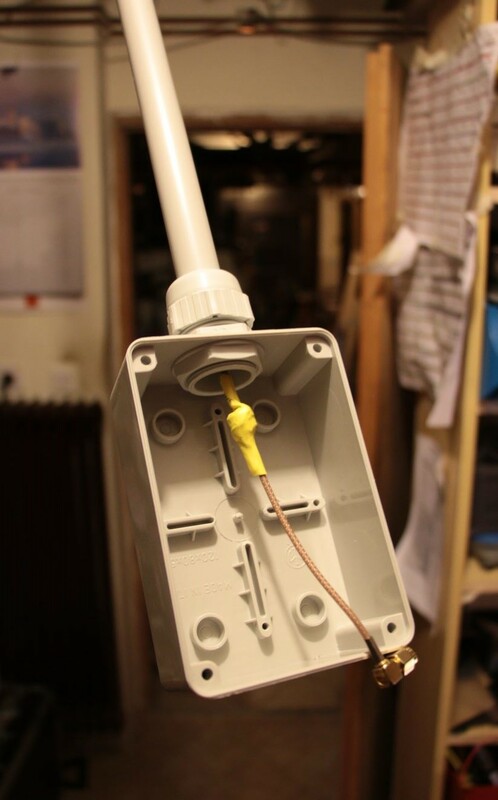 Antenna construction requires some soldering and cable cutting. 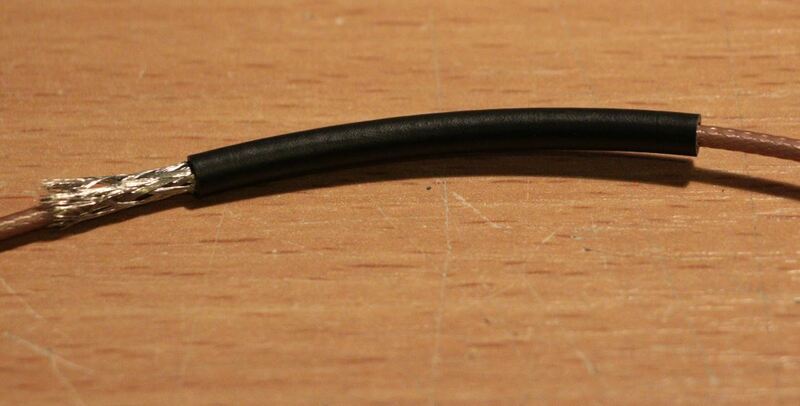 Good-to-have is cable-peeling tool (marked with an arrow above), but it can be done with a sharp knife, too. 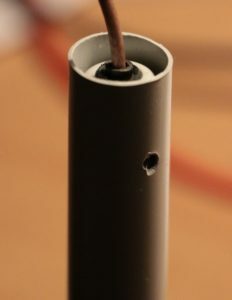 The hot glue gun is useful for sealing this antenna and finally, if chosen connector requires crimping, some tool for connector assmbly is reqired. The ohm-meter would be also helpfull to check the shorts. 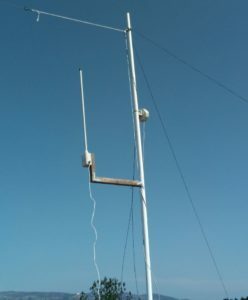 For described antenna at f=868MHz, the wavelength in free space is: λ=345,6mm. 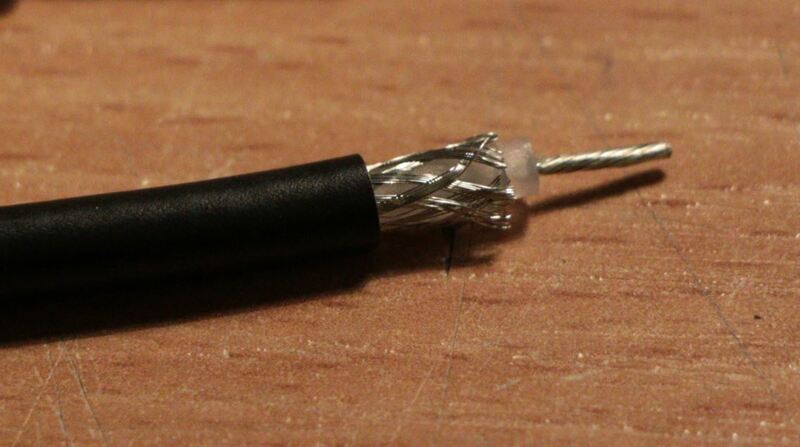 The electromagnetic waves in the coaxial cable propagate slower than in free air. The length L of the basic antenna element is the half wave length reduced by the velocity factor of the coaxial cable. 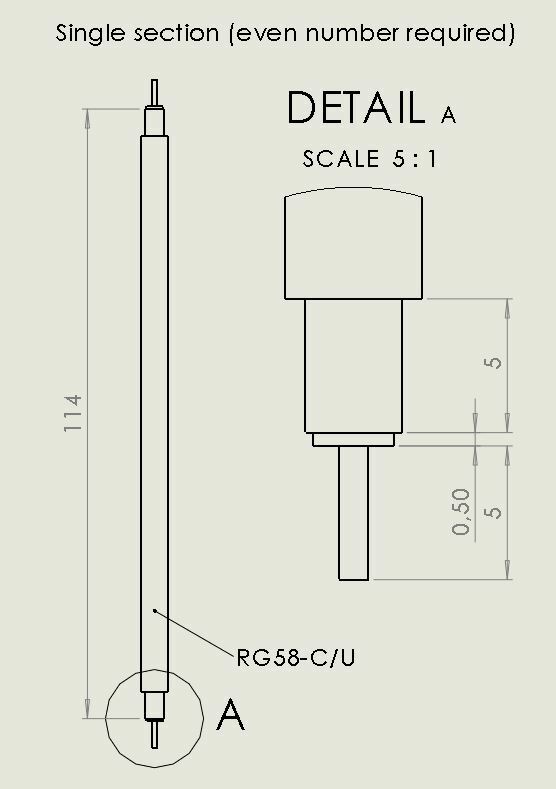 The length of the antenna sections made with cable RG58-C/U (VF=0,66) are 114mm long. 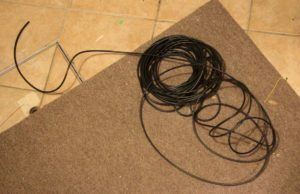 Add copper wire λ/4 long at the one end of this chain. 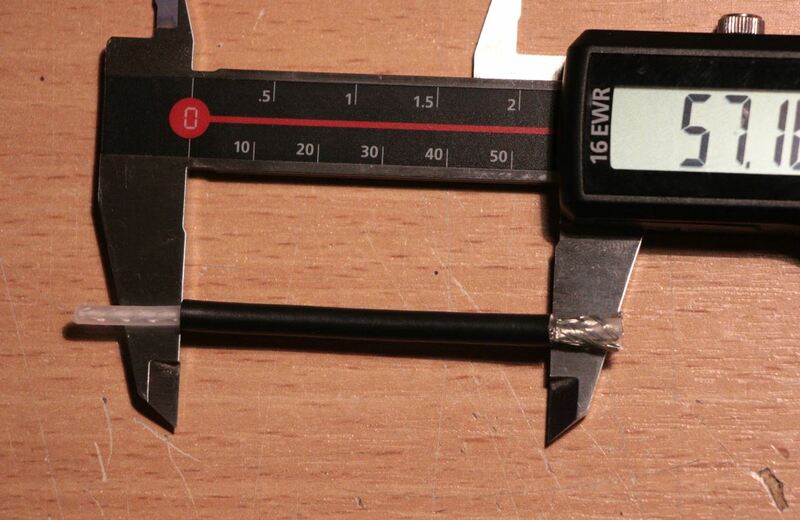 Length is 86mm (there is no coax, calculate the λ is in free space). 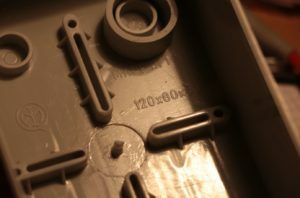 Drill few holes just below the seal (marked with an arrow in photo above).Venting holes will provide draining of the condensation water when antenna is placed outdoor. 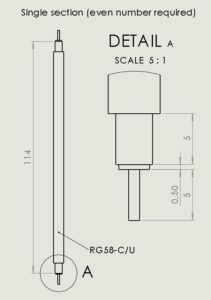 The drawing of the antenna construction is available in this document. 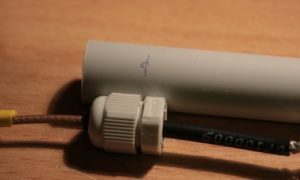 Slide the antenna chain inside the tube. 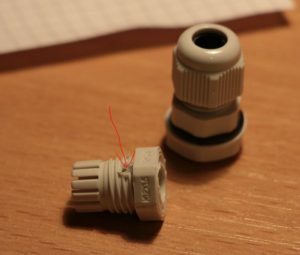 Align the holes from the gland with the venting hole in the outer tube. 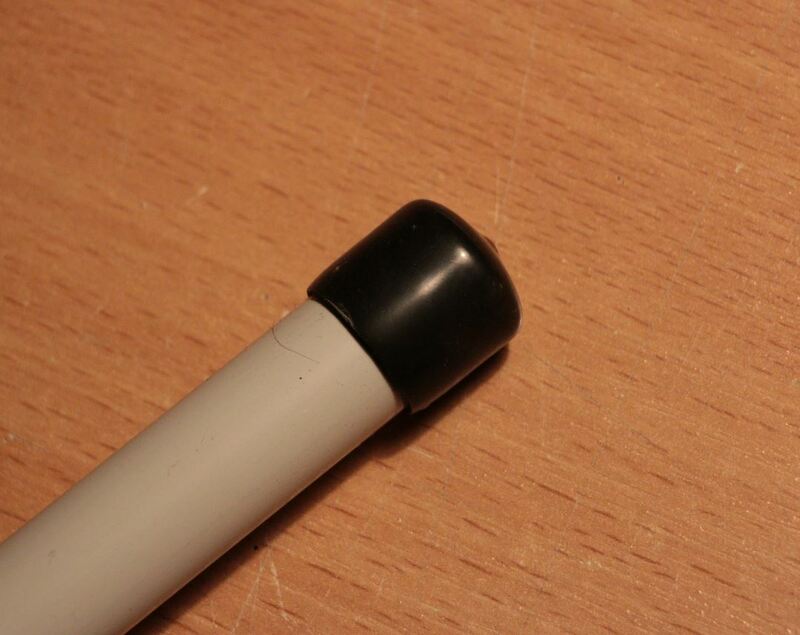 Apply hot glue above the gland to fill the gaps between gland and the plastic tube. The PVC tube will probably deform a little. Just cut away the deformed part when cooled down. Add rubber cap on the top of the antenna. 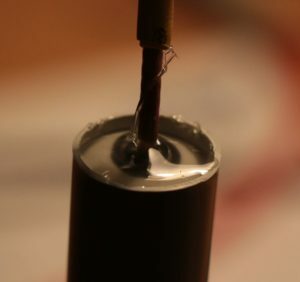 Cork or other sealant would work as well. This is the first prototype, where I experimented with the ferrite rings (inside yellow shrink). 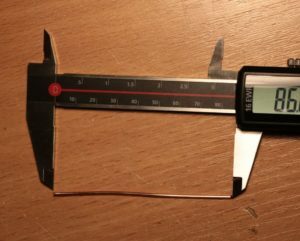 Measurements showed no significant difference. 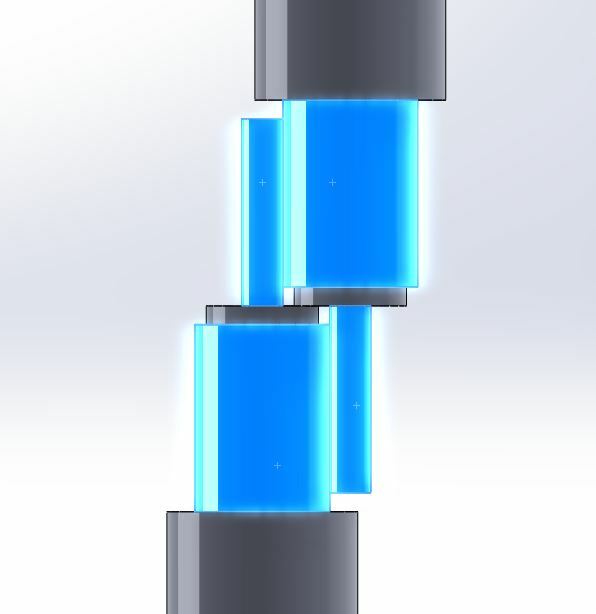 I think they are not necessary fot this design. 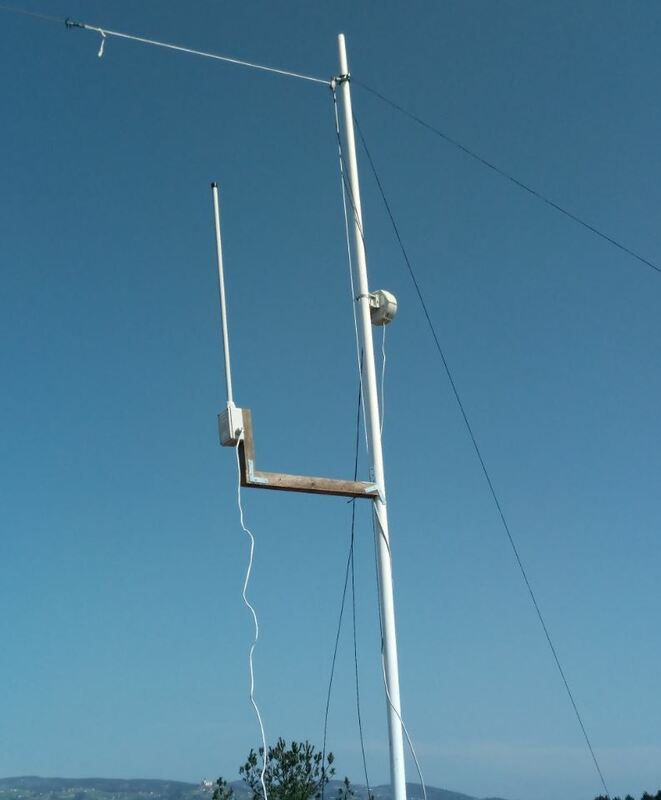 First I made VSWR antenna measurements. 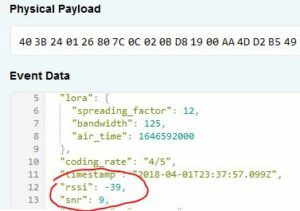 The results are shown above. 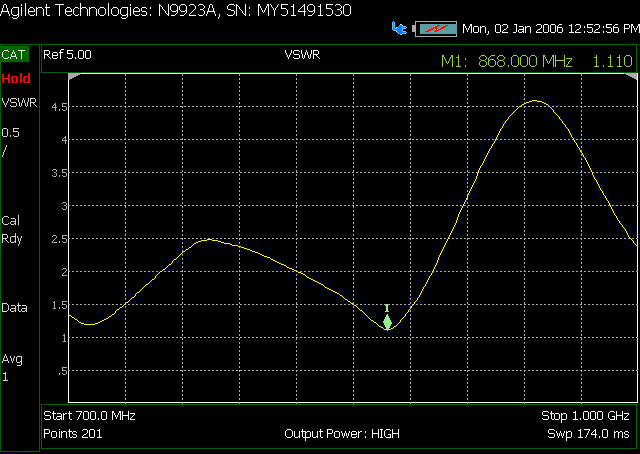 Then I attached antenna to the gateway and checked RSSI+SNR of the nearby end device. I compared this to small helix stub antenna which came with the RAK transciever. The results showed improvement. The antenna seems to work, but it should be tested in the field with some proper distance between the devices. 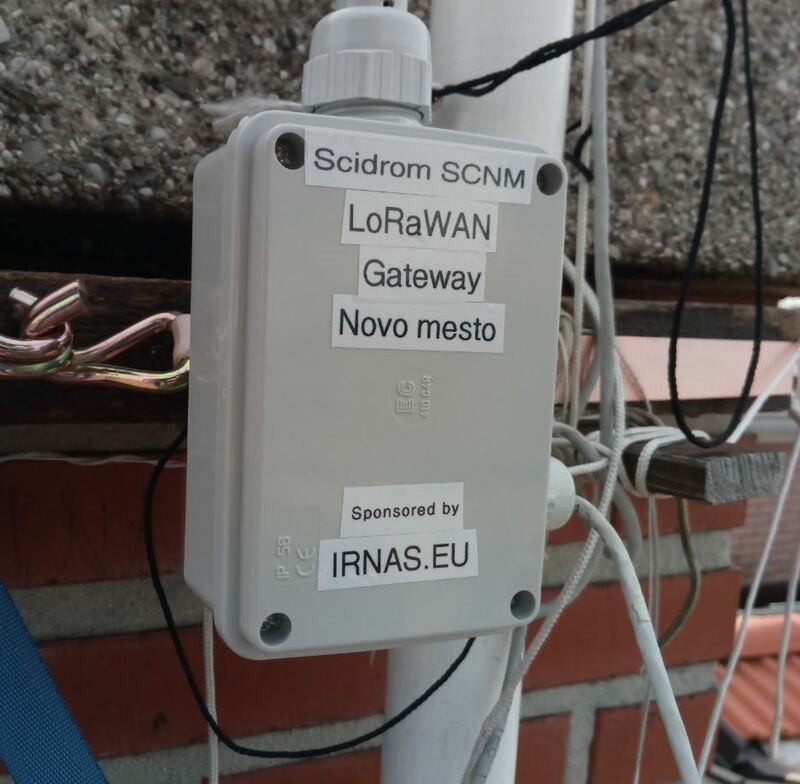 Powered by Pavlin.SI 41 queries. 0.379 sec.